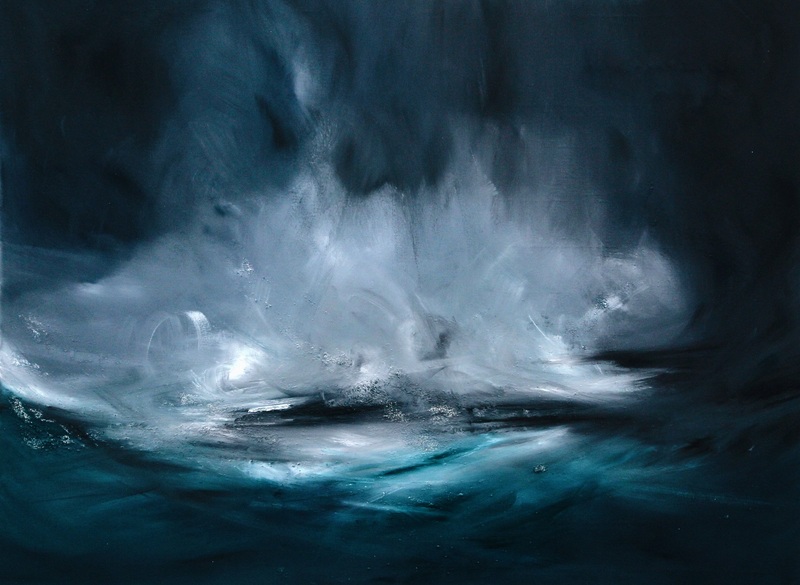 Ellis O’Connor is a landscape artist working from her studio on North Uist. Since graduating from Duncan of Jordanstone College of Art in 2015, Ellis has undertaken numerous residency programmes, including ones in Iceland and Norway. In 2016, as part of the annual Arctic Circle Residency she was one of a group of artists who sailed around the Svalbard Archipelago in the High Arctic making work about the landscape and environment. In order to immerse herself in her environment, Ellis makes much of her artwork on site where extreme weather and the elements find their way into her pieces. She describes the process of working outdoors in wild weather as almost ‘performative’. When outdoors she mainly uses water-based materials such as inks, combined with charcoal, conté and lots of rain! The new series of paintings made for this solo exhibition are based on Ellis’s direct surroundings in the Outer Hebrides and the way in which the elements, the atmosphere and the landscape all merge together to create a unique inspiration for the work whilst providing Ellis the perfect place in which to capture the movement and vibrancy of the landscape to put across to others. Ellis is a Visit Scotland Ambassador, with a collection of inspiring social media pages! Have a look at her instagram page here.